Summer is a magical time when it feels like everyone but you is on vacation, including your family. Whether your brother is rolling through town or your third step-cousin twice removed from a Hootie & the Blowfish concert is stopping by for a bite to eat, everybody seems a little nervous about straying too far from the highway. Give your visitors a taste of Oklahoma with these conveniently located eateries thatll have them happily fed and ready to get back on the road. Hugo's Taquizas shot in Oklahoma City, Monday, June 30, 2015. 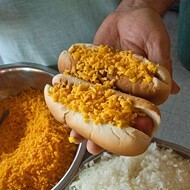 If someone is traveling down Interstate 44, have them pull off at NW 23rd Street for lunch at Hugos Taquizas. 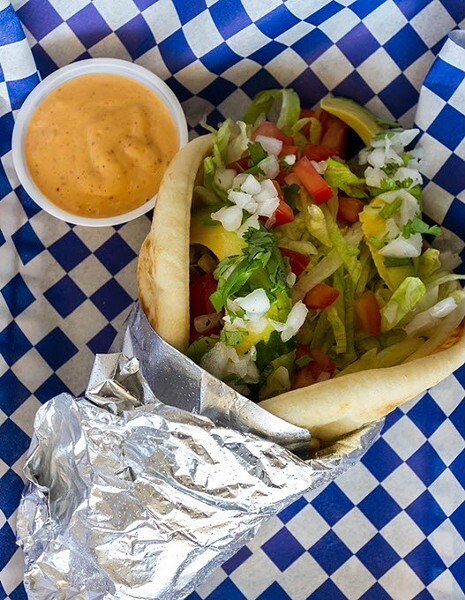 Tacos are $1 each on Tuesdays and just $1.50 the rest of the time. The carne asada (steak), carnitas (pork) and cabeza (beef cheek) will put whatever tacos they eat back in Maryland to shame. Take on Burrito Impossible, a three-pound burrito filled with your choice of three meats, rice, beans, cilantro, onions and salsa wrapped in two flour tortillas. An assortment of pork crackling, chicken with cream, and beef barbacoa gorditas, with sauces and beverages if front of a homey, bird house and crafts wall at Gorditas Mexican Kitchen, 11-2-15. 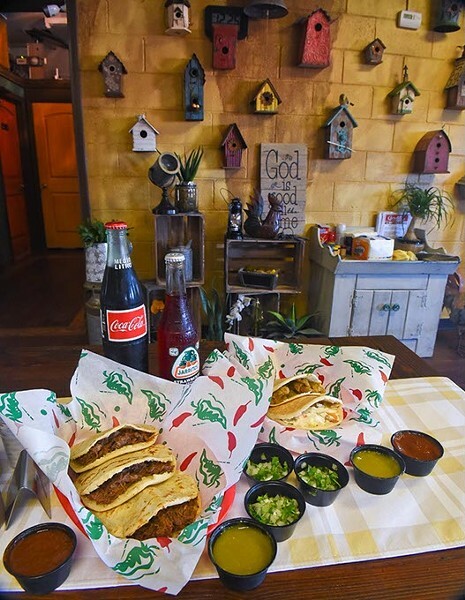 Not far from where State Highway 52 and Interstate 44 meet, youll find Gorditas Mexican Kitchen, where the specialty is  you guessed it  gorditas. Spanish for chubby, a gordita is a thick masa tortilla stuffed with delicious fillings, from the simple pleasures of frijoles (beans) and cheese to the mélange that is discada  ground beef, hot dogs, tomatoes, onion, bell peppers and jalapeños. And since gorditas are portable, your relatives can even consider ordering some for the road. 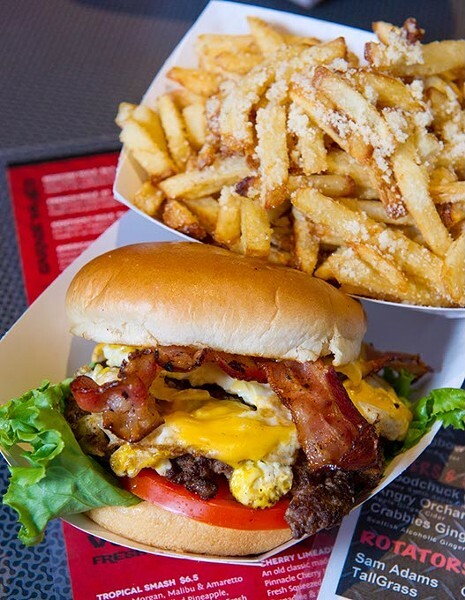 Oklahoma knows burgers better than any other state in the country. 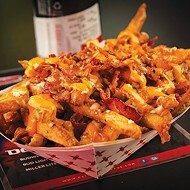 Treat your traveling kin to one of the citys favorite dishes at The Garage Burgers & Beer located near Interstate 240. The Classic is a good place to start, but dont overlook The Big G. Its hard to do better than a pair of beef patties, one cooked onion burger-style, with pickles, onions, cheese and special sauce. Upgrade from beef to a bison patty for $2 more. Firecracker at Gogo Sushi Express in Moore, Wednesday, June 21, 2017. Traveling can be hard on the stomach. Encourage your fam to indulge in tasty, light-on-the-tummy sushi from GoGo Sushi Express and Grill. 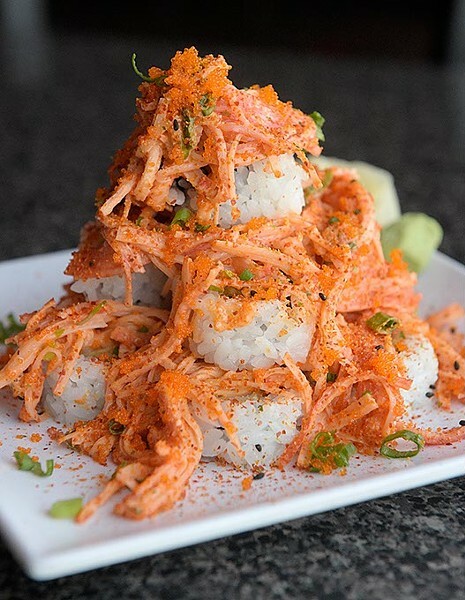 With more than 75 sushi rolls on its menu (including one named for Damon Lane, Oklahoma Citys funniest meteorologist), its hard to imagine they wont find something to love. GoGo also serves tasty salads and hibachi-cooked meats. 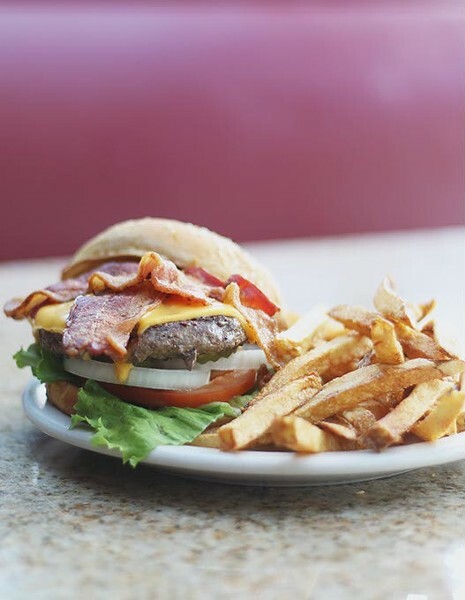 A Wednesday Special, bacon cheeseburger at Sooner Legends in Norman, Okla.
Hut, hut, hike on over to Sooner Legends with your relatives traveling through Norman for a taste of University of Oklahoma history and filling comfort fare. 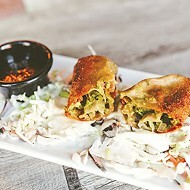 There are enchiladas and burritos for Tex-Mex lovers and a passel of salads. Carnivores can dig into an extensive selection of barbecue dinners, including delicious catfish and ribs, or try a true Oklahoma classic  a chicken-fried steak with mashed potatoes smothered in gravy. The Oklahoma Sampler at Swadley's BBQ. 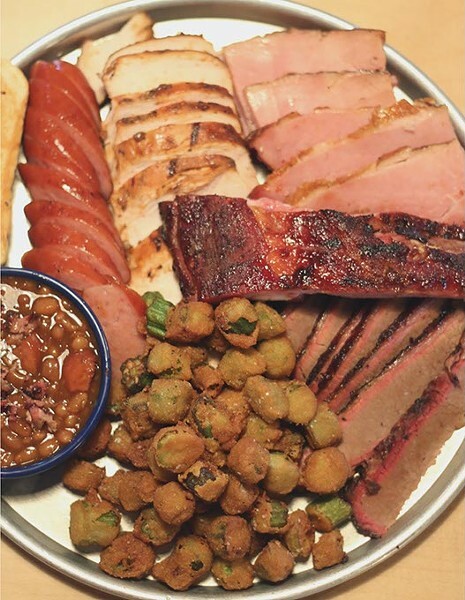 The dish features over a pound of meat including brisket, chicken, ham, sausage and rib as well as two sides. (Cara Johnson). Some relatives you cant wait to see leave, and some you want to stay forever. 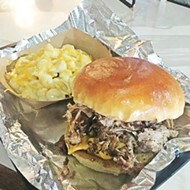 Meet the latter at Swadleys Bar-B-Q located just off Kilpatrick Turnpike and make sure they order the Oklahoma Sampler with more than a pound of meat (chicken, sausage, brisket, ham and a rib) and two sides. Theres no way they can finish it and still drive anywhere. Besides, one taste of real Oklahoma barbecue might have them searching for their own home in the metro. 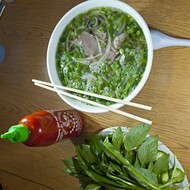 Vietnamese food? In Oklahoma? 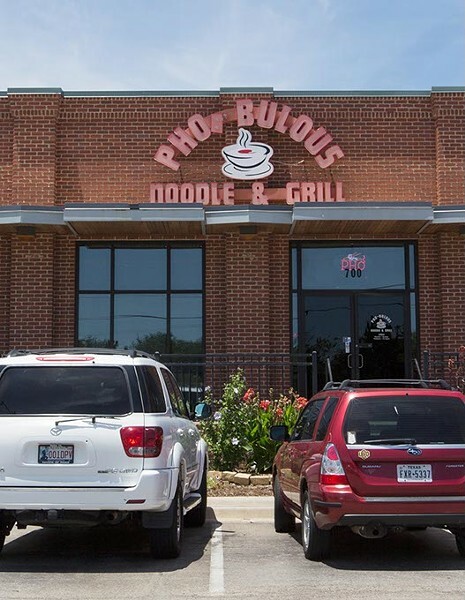 ! is something one of your relatives might say when you direct them to Pho Bulous Noodle & Grill off Interstate 235. 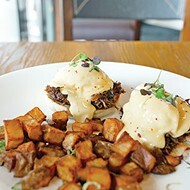 After one taste of its scrumptious pho, theyll be glad you suggested it. The thermometer might be topping 100 degrees Fahrenheit by the time they arrive, but locals know its never too hot for a bowl of richly spiced Vietnamese beef and noodle soup. Finish the meal with a cold bubble tea.